I am here to help you to reach your website to the needy ! Directories submission will help you to be in the top ranking in google searching. 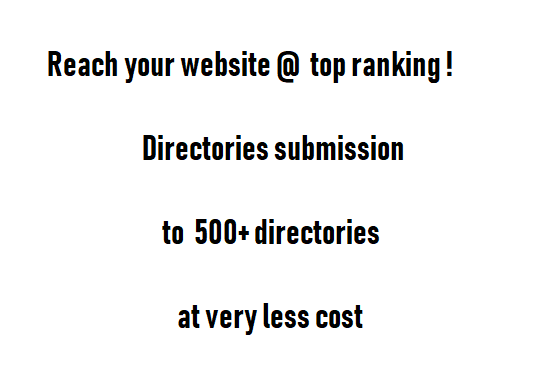 I can help you to reach your website to 500+ directories. Online promotion can help you to reach to desired profiles, and promote your business widely. For further proceedings please share me your website details with URL.